FG’s waivers and exemptions: How desirable? You are at:Home»Features»FG’s waivers and exemptions: How desirable? For some time now, the media had been a washed the claims and counter claims regarding the actual amount the Federal government has granted in Waivers and exemptions in the past three years. The Minister of Finance and Coordinating Minister of the economy, Dr. Ngozi Okonjo-Iweala while responding to the 50 questions posed by the House of Representatives hinted that the Federal government granted waivers and exemptions totaling N171 billion to business across all sectors of the economy in the last three years. But in what seems to contradict the figures provided by the Minister of Finance the Nigeria Customs Service (NCS) came up with another report stating that Nigeria had lost a whooping N1.4 trillion on import duty waivers and not N171 billion as claimed by the Minister of Finance in the last three years. The report further said that the country lost hundreds of billions of naira more as authorities recklessly granted import/export incentives on unapproved goods from rice to fish to kola nuts with no significant bearing on the economy. It may interest you to know from the fore going that while Nigerians are concerned about the inconsistency in the figures dished out to them by the government and its agency, they are much more concerned about the transparency or otherwise with which these waivers were granted. In recent times, there were concerns in some quarters that the waivers and exemptions which were adopted by the Federal government to support the government’s objective to enhance the capacity of the beneficiaries to produce their goods domestically to make the country more self-reliant and reduce dependence on imports were being abused. 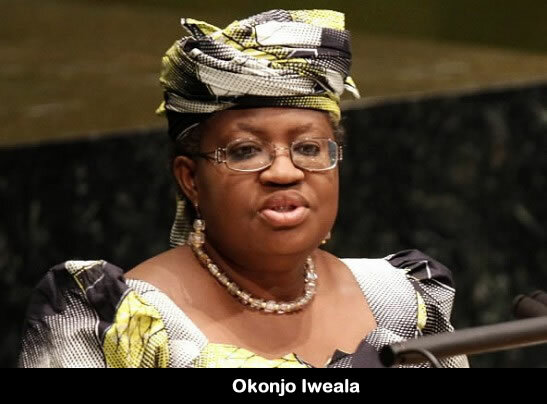 Okonjo-Iweala, aware of the concern in the abuse of the waivers system however condemned the waiver system in connection with purchase of vehicles noting that the government cannot do away with waivers and exemptions in view of the country’s objective to produce most of its goods domestically adding that stronger monitoring of these waivers is being put in place. According to her, in the past, waives were granted to individual, business in an approach that resulted in rent seeking behaviours and uneven playing field for other businesses. It was presently the need to stop such a discretionary approach that led to the reforms by the Economic Management Team under the leadership of President Goodluck Ebele Jonathan. “A sector wide waiver policy was introduced to provide specific incentives for some strategic, job creating sectors. Under this regime, all businesses in a sector have access to the same incentives”. “Abuse of this system as recently observed is reprehensible and stronger monitoring of these waivers is being put in place. Over time, the private sector would need to step in to investment in this leasing sector”, she said. On its part, comparing the government’s export grant to the well abused fuel subsidy, the Customs said more than 65 percent of beneficiaries received the grant for goods not approved by the government which ordinarily should be limited to raw materials, machinery and other spare parts. The Nigeria Customs Service according to report further claimed that the recipients of the export grant hold an instrument called Negotiable Duty Credit Certificate (NDCC) which they use in the payment of import and exercise duties. Going by the identified abuse in the waiver system in Nigeria as against what obtained internationally, the question now is, how desirable is this waiver system to Nigeria in the present dispensation? Speaking to Primetime reporters the National President, Association of Nigeria Licensed Customs Agent (ANLCA), Prince Olayiwola Shittu said that waiver is a necessary in a growing economy like Nigeria in order to encourage investors adding that even the developed countries like the United State of America grant waiver even with all their heavy economy. To him, granting of waiver was not the problem rather its application contending that it was those he called the political beneficiaries that were creating the problems. “I don’t know if the waiver system has been abused. Waiver is a necessity in a growing economy in order to encourage the productive sector, there is nothing wrong about waiver”. “America even do waiver with all their heavy economy. It is the application of waiver that is the problem. When you grant waivers based on political considerations, then that is not helping the economy, “ he said”. He pointed that if the waiver was not there, the Ministry of Transport would have started disbursing the Cabotage vessel finance fund to assist the indigenous people. On the disparity between the records given by the Minister of Finance and that given by the Customs, the ANLCA boss figured out that the act was typical of Nigerians saying that there was no time the government agencies come up with the same figure in a particular issue even as he argued what since the Central Bank of Nigeria and the Nigerian National Petroleum Corporation (NNPC) could not agree on the amount of oil sold by the country in a given year, one should not expect that the Customs and the Ministry of Finance should have same records regarding the total amount granted in waivers. “But the Customs was the ones that released them, so they have the records so the Customs record is more authentic because they are the ones operating it”. However , disagreeing sharply with Price Shittu on whose report is to be taken regarding the amount granted in waiver, the National of Publicity Secretary, National Association of Government Approved Freight Forwarders(NAGAFF), Mr. Simeon Nwonu believed that if was a case of discrepancies between the amount quoted by the minister of finance and that quoted by the Nigeria Customs Service, the National Assembly should wade into the maker with the aim of telling Nigerians the truth. Nwonu disclosed that both the Senate and the House of Representatives has Committees on finance whose duty it is to unravel such discrepancies and in this case, they should not waste time in getting to the root of the matter. According to him, “and if it is the truth that the government is lying they have to tell us, if it is the Customs that is lying, they have to also tell us. It is not our duty to investigate, it is the duty of the National Assembly to investigate that and there is the need for them to investigate,” Nwonu said. He clarified that the Nigeria Customs Service was not against the government granting waiver to those it so wished to grant waivers to but that the service was saying that they would have made more money in revenue than they made were it not for the amount gated in waiver. “ What the Customs s warning against is the abuse of waiver system, the government abusing the waiver system like I said earlier, they use it as political patronage so people who has access to the government but it should not be so because when you are taking such action, it is impacting negatively on the economy. Who suffered it at the end of the day is you and I”. Nwonu opined that there was the need to grant waivers but was quick to add that such has to be done strictly on items that are of utmost important to the needs of Nigerians citing power equipment, medical instrument s as those thing that the government can considers giving waiver on instead the practice where fish, rice, kola nuts and toothpicks were granted waiver on. The NAGAFF Chieftain warned against the selective implementation of waiver system where one was given waiver based on his political affiliation insisting that such practice was capable of killing the economy. Also speaking, the Chairman, National Association of Government Approved Freight Forwarders (NAGAFF), Apapa Chapter, Dr. Fred Ajuzie noted that the government was running to it annually and such would not go on granting waivers and exemptions. “Well, I am not an economist why I said so is that we know that the government needs money this time because if the government doesn’t need money, they won’t ask the Customs to get more revenue”. “So why granting waivers when you are asking people to generate more revenue, it does not align. Why target was given to the Customs was for them to be able to generate more revenue to the government. So in my own opinion, I don’t think it is necessary”, Ajuzie said. From the fore going, it can be deduced that the desirability of the waiver system is not in question rather Nigerians would want to see a more transparent waiver system devoid of any form of abuse targeted at providing patronage to political allied at the expense of the economy and the generally of Nigerians. Government should ensure that the application of the waiver system follows due process and those waivers are granted on those items, which are not produced locally, and tiat have direct bearing on the masses. In addition, government should adopt more transparent and efficient reporting system to avoid the repeat of the controversy generated by the different reports from the Service and the Ministry in order to win the confidence of Nigerians who gave them those positions to them in trust. It is only when this is done, that will build a Nigeria of our dream, which every Nigerian will be proud of.